Often thought of as the filthiest of places, an airport public restroom may not necessarily be the dirtiest place in the airport. What could be worse? Security bins? Ticket counters? The place where you and thousands of other travelers have to take your shoes off? Curious as to what spot actually is the dirtiest, InsuranceQuotes, a Texas-based insurance company, went to three major U.S. airports and airline flights and performed 18 tests across six different surfaces. Samples were sent off to a laboratory to find the average number of colony forming units (CFU) or bacterial or fungal cells per square inch. Basically, the more CFUs there are, the more contaminated a surface is. 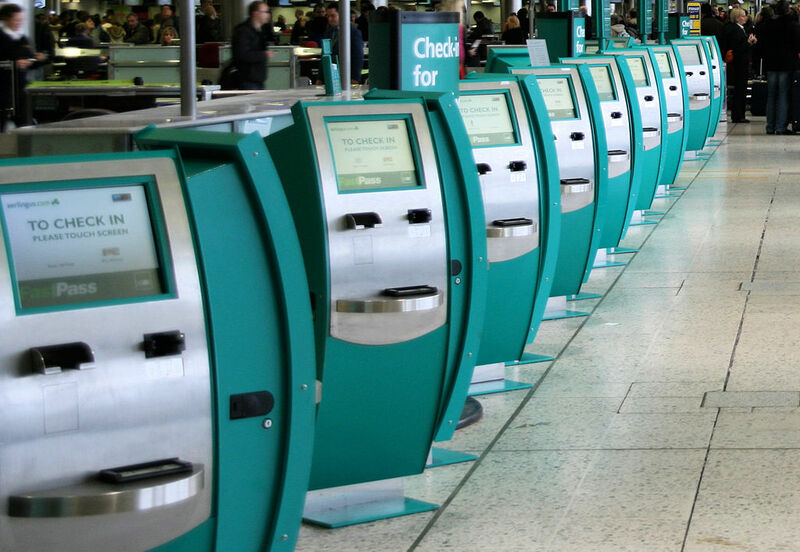 The results were surprising: self-check kiosks contained the highest level of CFUs with 253,857. Armrests at the gate were second with 21,630 followed by water fountain buttons with 19,181. It makes sense: all day, countless people tap the same screen to get their tickets, unaware the dirtiest place in the airport is right at their fingertips. 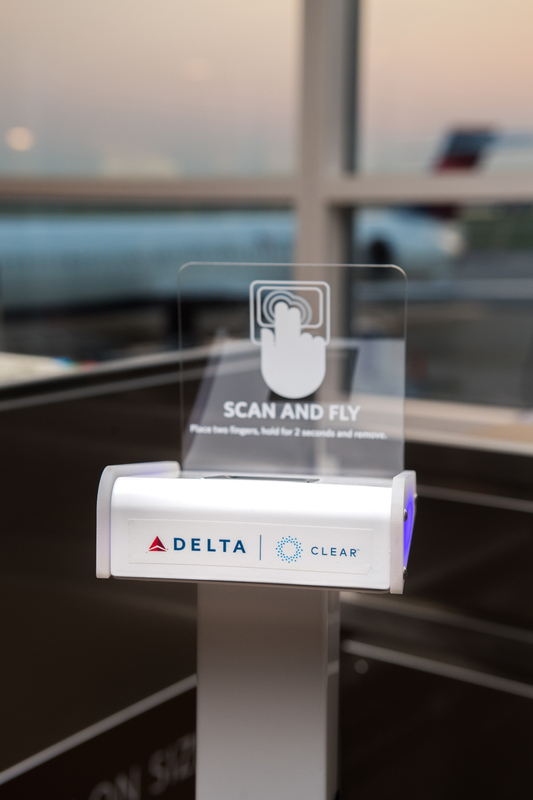 The self-check-in kiosk is the one place nearly everyone is forced to touch. Not surprising then is that the world’s business airport, Hartsfield-Jackson, was the germiest of all three subject airports. Just one kiosk alone came back with 1 million CFU. Remember that “filthy” restroom? An airport toilet contains 172 CFU on average. The close proximity of other passengers and stale air in the airplane is blamed for illnesses, but maybe it’s the pre-flight contact instead. We may never know. The best way is, of course, complete avoidance whenever possible. Check into your flight from your smartphone or at home on your computer (just your germs there). Barefoot is bad! Walking barefoot through security makes you more susceptible to germs and infections like athlete’s foot, so always wear socks through the airport security line. Hand sanitizer. Carry TSA-approved size mini bottles of hand sanitizer for quick clean ups after touching dirty screens. Resting your elbows on armrests at your gate is comfortable, but if you wipe them down with disinfectant wipes first, they’ll be comfortable and clean. No brainer: always, always, always wash your hands after using the restroom. Public or private. Airports and everywhere. Always. Use soap and warm water for seconds; that’s “Happy Birthday” twice or the Alphabet song once. “Safe travels” has a whole new meaning when you say ‘bon voyage’ to germs. How do you avoid germs on your trips? What did you think the dirtiest place in the airport was? Tell us about it in the comments below, on our Facebook page, or on our Twitter page. While this summer is already trending to be the largest travel season ever — up 100,000 fliers per day over last year — travelers may find airline ticket prices going up due to a spike in fuel costs, even while seat availability decreases. According to the International Air Transportation Association, the cost of gassing up is up 50 percent, with oil selling at $65 a barrel this summer compared to $45 for the same quantity in 2017. Airline executives told attendees at IATA’s annual meeting they were still optimistic about their carriers’ profitability, since they’ve worked to restructure their businesses so they can absorb the increased cost that always seems to come around this time of year. While you might think a fuel surcharge may be tacked onto your ticket, there’s good news: the Department of Transportation has made such fees illegal on domestic flights five years ago because the DOT determined they were really just a hidden price increase. 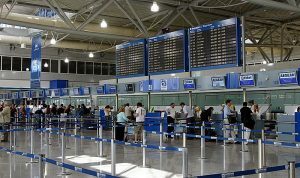 These surcharges are permitted on international flights, however, and flights to Asia have seen figures between $50 and $200 — almost 15 percent of the ticket price — tacked on. Ticket prices to popular summer destinations, such as Europe, haven’t been severely impacted due to competition from the low-cost carriers, but flexible business class seats and fares to parts of the country where there’s less competition have begun to see hikes. While this recent spike may seem large, airlines learned from the disastrous $140 per barrel season a decade ago. To avoid seeing profits plummet, they’ve implemented price hedging policies to protect their margins. Bottom line, depending on where you’re heading, those fuel costs surcharges may be unavoidable. Just do your best to find the lowest-priced tickets you can and hope for the best. Also, buy your tickets earlier rather than later when surcharges could get bigger. Do fuel surcharges affect your business travel plans? How do you deal with surprise fees? Tell us about it on our Facebook page, or on our Twitter page. Weather these days is getting more and more unpredictable. Winter brings heavy blizzards and ice in the Midwest and Northeast, spring brings thunderstorms and tornadoes, and it’s hurricane season in the Southeast from June through November. 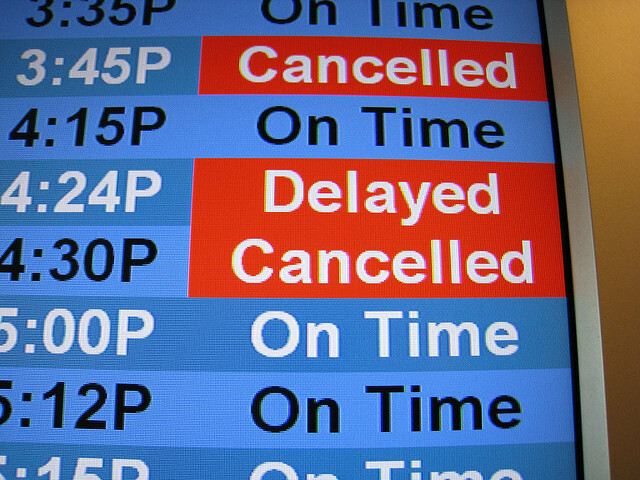 So chances are, you’re going to see flights get canceled or postponed because of the weather. If that happens, there are several ways to make the most of the situation. If your rescheduled flight is for later in the day, you can stay in the terminal and tackle your inbox or other necessary reading. You could purchase a day pass to an airport lounge and have a quiet environment complete with food and drinks in which to wait it out. Work with a travel agent. 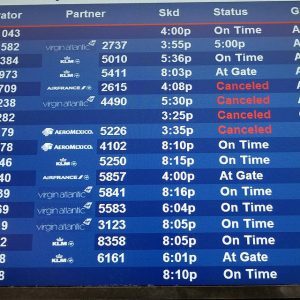 A recent Nor’easter almost wrecked one family’s Disney vacation, but having booked their travel with an experienced agent, having followed her tiny piece of advice — purchasing seats instead of relying on the airline to assign them — assured them seats on an oversold flight many were unwilling to risk rescheduling due to the impending snowstorm. Because of their agent’s knowledge of the system and counsel, they made one of the last flights out and were able to maintain their desired itinerary. The family’s story shows a good reason for buying travel insurance. Sometimes you can’t settle for being rescheduled by the airline because other portions of your itinerary hinge on your making a flight. 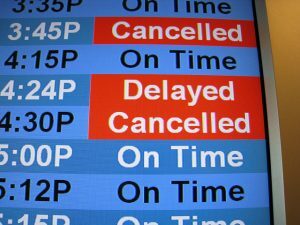 If you have travel insurance and your flight is canceled or your destination is closed for weather, you won’t be out that money — it will be repaid through your insurance, and you can reschedule at a later time for another flight or trip. Finally, investigate alternate transportation. If you absolutely must get somewhere and the airport is shut down, consider renting a car (if roads are passable) or taking a bus to your destination. Again, using a car rental app when searching for a rental car may get you keys when others waiting at the counter may be out of luck. What do you do when your flight is canceled? Have you ever had to face that? How did you manage? Tell us about it on our Facebook page, or on our Twitter stream. It’s not just other people who know you these days. Thanks to machine learning, artificial intelligence has evolved to the point that your personal preferences for nearly everything are not only being cataloged, they can assist an AI system in helping you complete everything from a hotel booking to a dinner reservation. The process is so seamless that sometimes you may not even be aware you’re being helped by a computer instead of a real person. Chatbots are ubiquitous on online travel sites and airline reservation systems, as well as some financial institutions, software help centers, and ecommerce websites. They allow human agents to work on more complex issues, and they facilitate faster processing and confirmation of orders and reservations. AI’s use in the travel industry is the result of traveler feedback about desired efficiency and convenience. For example, if you don’t want to make any decisions, Google Trips can plan a complete itinerary based on what it has learned from your past travel experiences. Just tell the app where you want to go, and everything is kept in one location and can be adapted if your plans change en route. The hotel industry is also partnering with technology innovators, like IBM, to provide their guests with “personalized” attention from a robotic concierge, 24/7. Connie, the result of a partnership between Hilton and IBM, provides details about the hotel, its amenities, and local attractions. Its software allows it to continually enhance users’ experiences because it is able to learn from interactions and apply that knowledge in future conversations. AI is also being used to enhance security at airports. While all of us are aware of the body scanners used in the security screening process, one airport is testing the use of hidden facial recognition cameras to identify who is moving through security areas. Dubai International Airport is testing its facial recognition in real time through the implementation of a virtual aquarium, where cameras track and catalog who moves through the tunnel. With all this data collection, the next concern for this technology is the potential that exists for breaches of privacy and security, as well as misuse by the organizations storing our data. Do travelers have the right to know if they’re being scanned, photographed, and their data stored somewhere? As we continue to crave efficiency and convenience, this issue will have to be addressed. What are your thoughts? Are you ready to welcome our robot overlords, or are you a little hesitant to turn your information over to a machine? Tell us about it in the comments below, on our Facebook page, or in our Twitter stream. Passport applications and renewals are surging at an all-time high, so if you’ve been meaning to renew your old passport or need to apply for a new one, we’d like to give you some tips to make the process as painless as possible. The reason for the surge dates back to 2007, when the Western Hemisphere Travel Initiative of 2007 required all those traveling to the United States from other countries to show a valid passport or approved documentation. This changed from the days when US citizens could travel between Canada and Mexico with just their driver’s licenses. In 2007, 18 million passports were issued, and now all those are approaching or have exceeded their 10-year issuance limit. Another reason for the record number of applications and renewals is the Department of Homeland Security’s implementation of phase four of the REAL ID Act. Beginning January 18, 2018, a driver’s license was no longer sufficient identification for boarding an airplane if the state didn’t comply with the mandated standards set by the DHS. So, how can you get that little blue book in the shortest time possible so you don’t encounter any travel headaches? Here are our five tips. 1. What should be obvious by now is this: don’t wait until the last minute to start. If you have a few months before your trip, that may not be enough time. Expediting is possible, but due to the glut of applications and renewal requests, don’t push your luck. 2. For you procrastinators, there is a service you can pay to handle the process for you. Called govWorks, it exists to change the way people interface with federal and foreign governments. The company can accelerate processing for travel visas, passports, and other travel documents by facilitating access to a customer’s information from a secure platform. 3. 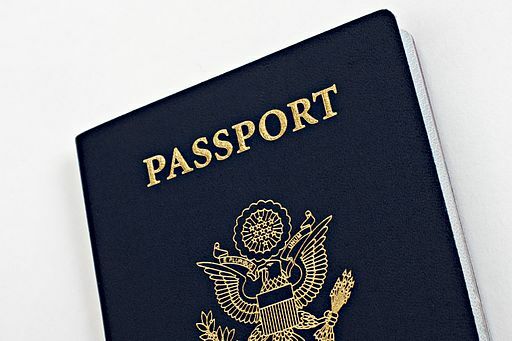 If you travel internationally frequently, consider applying for a 52-page passport. Many people aren’t even aware this is an option, but that almost doubling in capacity can really come in handy when each country requires two stamps for entry and exit from its state. When a page can only accommodate four stamps, the standard 28-page booklet can fill quickly. 4. If you plan to travel with your children and live in a state that is currently out of compliance with the REAL ID Act, get passports for yourself and your children. Keep in mind that children’s passports aren’t issued for the same length of time as adult passports. They are only good for five years and will be required for children who travel with their parents in the continental US if their parents don’t have REAL ID-compliant documentation from their state. 5. Consider having two passports. Boalt confirmed it is possible, and sometimes necessary, to simultaneously hold two valid passports. “Some countries reject passports that contain visa stamps from certain other countries, such as traveling into Israel if you have a stamp from Saudi Arabia. 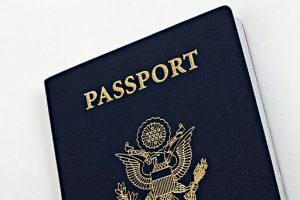 Second passports are also helpful for frequent travelers who might need to apply for multiple visa applications on an ongoing basis,” Boalt said. Are you an international traveler? Do you have any passport success stories or horror stories? What have you done to get your passport renewed? Share your tales with us in the comments below, on our Facebook page, orin our Twitter stream. As the traveling public becomes more discriminating about which airline it flies and who’s the best at getting them where they’re needing and wanting to go on time, the annual Air Travel Consumer Report, a compiling of data submitted to the U.S. Department of Transportation and the Bureau of Transportation Statistics, reads like a tell-all tabloid. And despite the crushing media stories about some problems, the airline industry has improved its performance year over year. For example, 2017 was the lowest year for bumped passengers since 1995. The rate — just .034 for every 10,000 passengers — is half the rate of .062 of 2016. That number doesn’t account for travelers who accepted travel vouchers or offered to give up their seats on overbooked flights, two of the ways airlines reduce the statistic they have to report to the Bureau of Transportation Statistics. 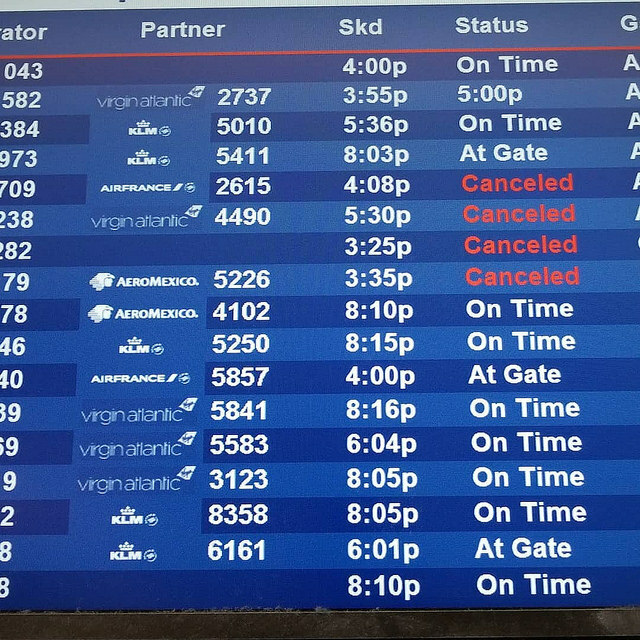 Cancellations, on-time performance, tarmac delays, flights that are chronically delayed, and the causes of flight delays are also detailed in the report. The overall on-time rate was 80.2 percent, a small decline from 2016 when the number was 81.4 percent. That makes the numbers reported by the top three airlines exceptional. 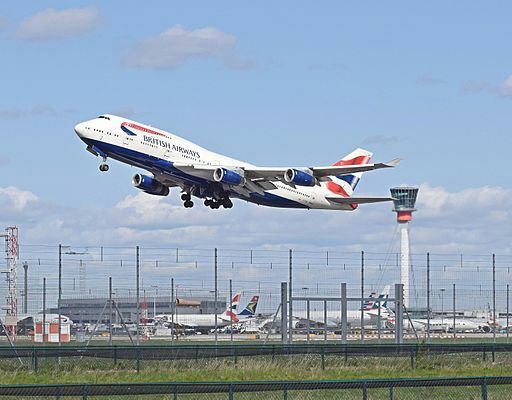 The reporting of on-time arrivals is particularly important because the report shows that the number one cause of delays for passengers was due to late arriving aircraft (6.74%). 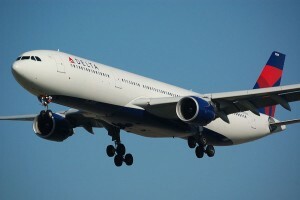 The second leading factor contributing to delays was air carrier delay, which is defined as circumstances due to maintenance or crew that are within the airline’s control. That accounted for 5.46 percent of delays in December. 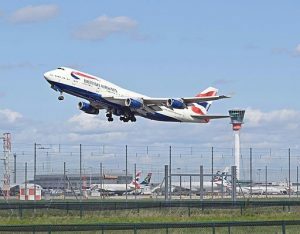 The report’s quarterly figures also highlighted unusually high tarmac delays for December 2017, as 96 flights reported tarmac delays of three hours or more. While that seems unusually high, there’s actually a good explanation for it: 77 tarmac delays were from planes that were held away from the terminal at Atlanta’s Hartsfield International Airport due to the December 17 power outage. Another 14 were delayed departing from Atlanta because of a snowstorm on December 8. This makes the actual number of flights with an on-tarmac delay of three hours or more only 5 for for December 2017. The airlines are listening to customer complaints and are doing everything they can to make our flights a more comfortable experience, and that shows in the improved numbers of 2017 over 2016. Have you noticed an improvement in performance, or do you have your own story to tell? Share it with us in the comments below, on our Facebook page, orin our Twitter stream. If you’re a frequent traveler, you probably have the mobile app for whatever airline you’re loyal to. Why? Not only can you check in to your flight 24 hours before your flight leaves, it also informs you of any current delays to your flight. You can adjust plans before you ever get to the airport and make any schedule changes necessary. But what if you could save yourself the hassle of being caught in a flight delay before it ever occurs? You can, if you use Google Flights. A new feature has been added to the app that uses machine learning algorithms and historical flight data to predict the likelihood of a specific flight being delayed. Not when the flight is actually delayed, but when it could be delayed. That could be a significant head start on making any schedule changes and could save you lots of headaches and stress! While it’s not a 100% guarantee that a flight will be delayed, Google has said that it only posts the delay when it’s 80 percent certain. While Google Assistant already informs you of a delay, Google Flight’s new features also provide detailed information about the cause, be it weather or system delays that prevent flights from taking off. To check the status of your flight, all you have to do is supply your airline and flight number or search your airline and route. The Google Flights updates also allow travelers to view what isn’t included in the price of a ticket you’re considering. For example, United Basic Economy doesn’t allow you to access overhead bins, choose your seat, upgrade your seat, or change your ticket, but you may not have known that. Now this information is now available for all American, Delta, and United fares, so you can look up your ticket’s amenities online and see which ticket will provide you with the best value and most comfort. Flight delays are expensive, aggravating, and exhausting. The airline apps have helped this a great deal, but if you start using Google Flights, some of this inconvenience can be avoided. Have you used Google Flights? Is this something you’ll start using in the future? What do you hope it will provide for you? Share your thoughts with us in the comments below, on our Facebook page, orin our Twitter stream. Boom Supersonic has partnered with Japan Airlines (JAL) and Virgin Group billionaire Richard Branson to bring supersonic air travel back to the skies. Boom, headquartered in Denver, wants to revive the ultra-efficient method of flight and make it accessible to non-millionaires. With JAL’s 10-million-dollar investment and Branson’s commitment to purchase the first 10 jets and offer the assistance of Virgin Galactic with test flights, we could see the first supersonic jet in the air this year. 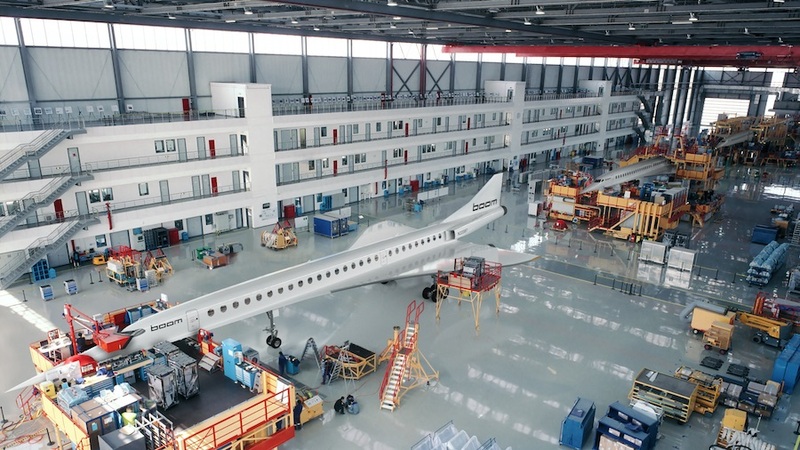 By collaborating to build a swift, more efficient model that capitalizes on the previous successes of the Concorde (the groundbreaking airplane fleet that was operated by British Airways and Air France for 27 years), Boom hopes to overcome the exorbitant costs associated with this specialized form of commercial flight and improve the travelers’ experience. According to Boom’s FAQ, the plane’s interior design will provide, among other amenities, a large window, immediate access to the aisle, and a personal overhead bin to each passenger. Its prototype, the XB-1 Supersonic Demonstrator, is one-third the size of its eventual commercial offering, and flies at 1,300 mph, twice the speed of today’s jumbo jet. The full-size model is projected to fly at 1,700 mph. JAL’s investment will allow them to purchase 20 jets when testing is complete. Seating 55 passengers each, they could create a flight itinerary between San Francisco and Tokyo that could take half the current 11 hours to complete. 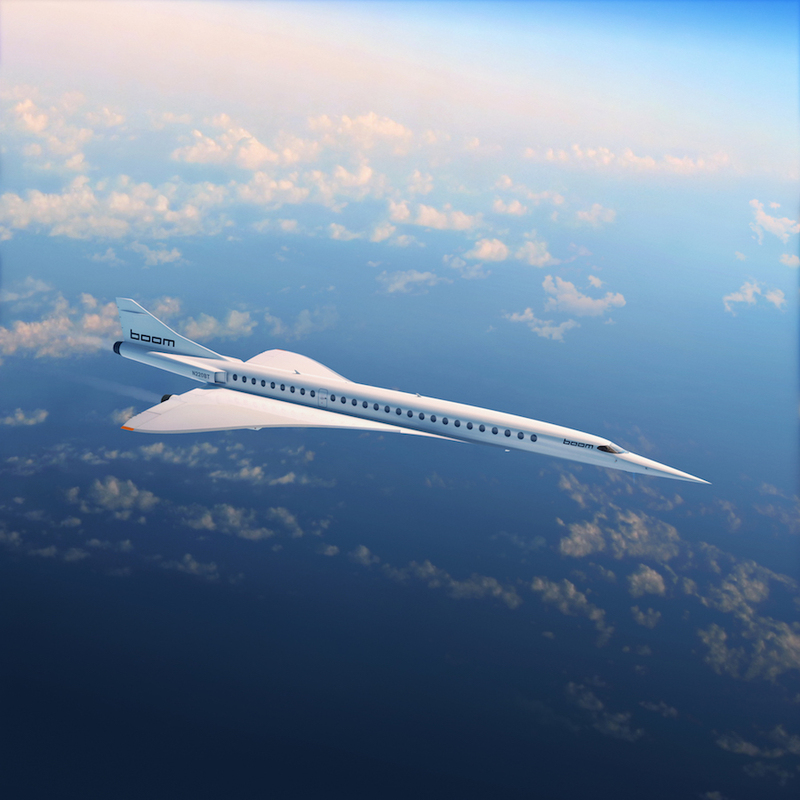 Supersonic air travel, which cuts the transatlantic flight time between New York and London from six hours to three and a half, hasn’t been available since 2003. When in operation, tickets were $12,000. According to Blake Scholl, Boom’s founder and CEO, the expected ticket price will be just $5,000. Boom claims it is on schedule to be operational in 2023. Would you try supersonic air travel for $5,000? Does the price make it more likely? How likely are you to fly supersonic once it becomes available? Tell us about it in the comments below, on our Facebook page, orin our Twitter stream.